Spoken Word Hour at the Baltimore Urban Book Festival 7/14/2013. From L to R: Monda Raquel Webb, BuddahDesmond, Anthony T. Pressley, Caroline Jhingory, and Michelle Lynn Stephens. Hello everyone! Hope the summer is treating you well. My apologies for pulling a disappearing act these last few weeks. Between work and my personal life, I’ve been ripping and running like crazy. Moments to breathe have been fleeting as of late. But one thing’s for sure, I have no intentions of being burn out’s BFF again. So time to relax, relate, release, and regroup is a must! In the meantime, let me give a few updates. 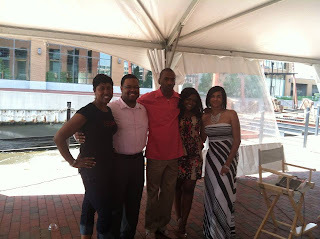 I had a wonderful time at the Baltimore Urban Book Festival (BUBF) a few weeks ago. Truly was a great way to meet other authors, prospective readers, and network. I also had the pleasure of reading with some dynamic poets during the Spoken Word Hour. Some of the poets on the bill included Monda Raquel Webb (Life is like a Soul Train Line), Caroline Jhingory (Half My Size How I Ate To Lose 150lbs), Michelle Lynn Stephens (The Divorcée Chronicles: Diary of a Divorcée Diva), and the head of the Baltimore Poets Society, Anthony T. Pressley (Chronicles of a Momma’s Boy: A Collection of Poetry and Short Stories), who served as the host of the event. Hopefully we’ll be able to connect again some time in the future. I’ll be posting a video of my reading of “The Ironic State of Black Men in Society“ very soon. Major shout out to author, songwriter, and poet, Tyeisha Downer (Diamondz in a Rough: The Transition). I couldn’t have asked for a better author to be my neighbor at the BUBF! My current website has moved to a new a domain while my new website is being developed. Please go to www.buddahdesmond.net instead of www.buddahdesmond.com. Once deployed, my new website will be accessible on the old domain (buddahdesmond.com). Also, if you’re in the DC Metro Area the first weekend of August, please check out the OutWrite 2013 LGBT Book Festival. There will be a plethora of book readings, book vendors, book discussions, poetry readings and more (see the Event Schedule). I’ll be an exhibitor selling copies of Prevail on August 3, 2013 from 10AM-6:30PM in the Exhibitor Hall of the Reeves Center, located at 2000 14th NW, Washington, DC 20009. Hope to see you there! During the Spoken Word Hour at the Baltimore Urban Book Festival this past Sunday, 7/14/13, I recited “The Ironic State of Black Men in Society” from the “Life” section of Prevail. I thought it quite fitting considering recent events. Video of the performance is forthcoming. Often seen as failures, hoodlums, and vagabonds. families, their communities, and themselves. With that depiction in the media how could their outlook not be gloomy? But that’s only if you aren’t hip to the real T of their plight. as intelligent, honorable, responsible beings in areas outside of entertainment. Anytime reality trumps perception the masses can’t seem to handle it. They are immediately baited for the wolves. Never to be redeemed or forgiven. or not, whether guilty or not—for several lifetimes over. world does not seem possible in any of our lifetimes. The belief that black men are no good is ever prevalent. that can be pointed at many places. But the realness, the truth, and the change begin within. Does not mean that you have to accept it or embrace it as your own. Challenge what you’ve walked into. Create something better to live on, and impact those coming after you. But people will take note. There’s no need to seek the approval or consent of the outsiders. 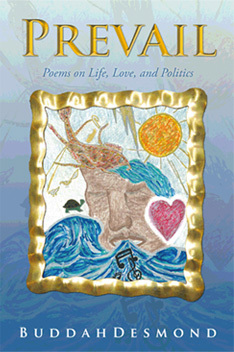 “The Ironic State of Black Men in Society” is featured in the “Life” section of Prevail: Poems on Life, Love, and Politics. Prevail is available at iUniverse, Amazon (Paperback | Hardcover | Kindle), Barnes & Noble, Book-A-Million (Paperback | Hardcover), and other retailers. Happy 1st Anniversary to ‘Prevail’! Image courtesy of the BUBF site. 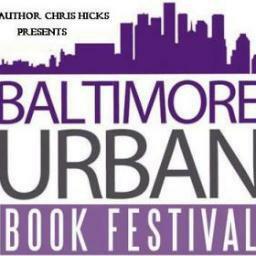 I’m happy to announce that I’ll be one of the authors featured at the Baltimore Urban Book Festival (BUBF) on July 14, 2013 from 12PM-6PM. The event will take place at the Frederick Douglass-Isaac Myers Maritime Museum located at 1417 Thames Street, Baltimore, MD 21231. Some of the headlining authors include Angela Stanton, Caroline Jhingory, Donna Hill, Sadequa Johnson, and Wahida Clark. I’ll also be one of the poets featured alongside Anthony Tyrone Pressley, Monda Raquel Webb, Michelle Lynn Stephens, and Sharon Clarkson during the Spoken Word Hour from 2:30PM-3:30PM. Aside from the Frederick Douglass-Isaac Myers Maritime Museum, sponsors include Ella D. Curry Creations, The Literary Network, AALBC.com, The Baltimore Times, Mahogany Books, MosaicBooks.com, A.B.L.E. (Alliance for Black Literature & Entertainment), and the TLJ Bookstore. I’m looking forward to sharing my work and connecting with other authors, prospective readers, vendors, and the many organizations who’ll be in attendance. If you’re in the Baltimore or DC Metro Area around the second weekend of July, please come support the event!